•	According to the science of airflow colder air falls and warm air rises. The cold air which comes out of the cassette air conditioner easily comes down to cool the room and make the inmates comfortable. •	These air conditioners provide superb coverage in terms of airflow and even temperature. If you have powerful fans to propel the air you will not have any complaint against these, no matter how big the room is. •	Being mounted in the ceiling they are out of the way. They do not occupy your room space. •	The condenser unit is located outside the building. Therefore these offer you whisper-quiet operation. 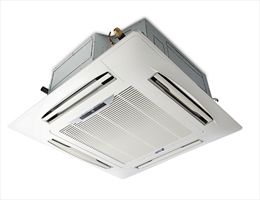 •	Being integrated with adjustable thermostats and variable speed fans, ceiling cassette A/C units are very energy efficient. •	They are also compatible with photo catalytic purification filters. These are very powerful filters that can screen the air of pollutants and other harmful particulate. So the air conditioner will wear the double hats of air cooler and air purifier. •	Installing cassette unit is a breeze. The condenser unit is placed not more than 50 Ft. away from the indoor unit. The pipe run from the condenser located outside of the building to the cassette in the ceiling. •	They have a clean and modern look. They are easily accommodated in the majority of environments, including shops and large offices. They look very discreet with only the grilles showing in the celling. •	They are easy to clean and maintain. 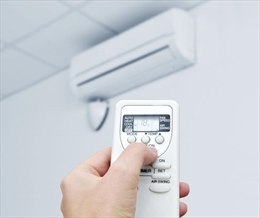 •	Know the correct design or model of the cassette air conditioner that will be suitable for your house. •	Get it installed by a reputed service provider. Incorrect installation can lead to high operating cost.